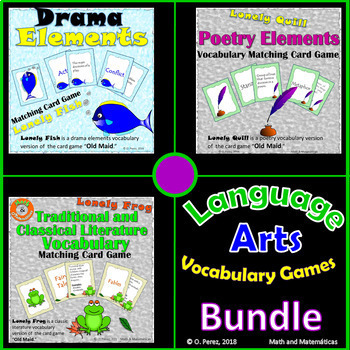 This is a bundle of games for Language Arts. 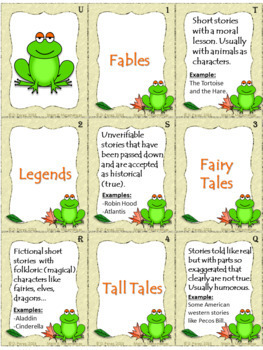 Every game is a version of the game "Old Maid". 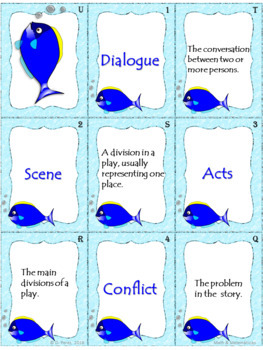 The students will play while they learn the vocabulary of DRAMA, POETRY and TRADITIONAL AND CLASSICAL LITERATURE. The games are designed for 2 or more players, but also one person can just play matching the cards. 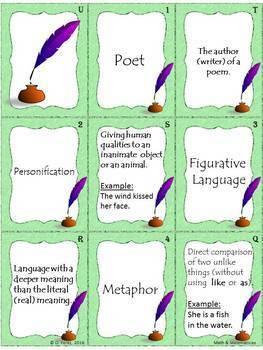 If you want the students to record their answers a student recording sheet is included.